When your game has been in development for more than 10 years, has had name changes and several delays, it’s hard enough to live up to the hype. When your game is one of the most famous, successful, and highly anticipated RPG series of all time, it’s even more of a challenge. 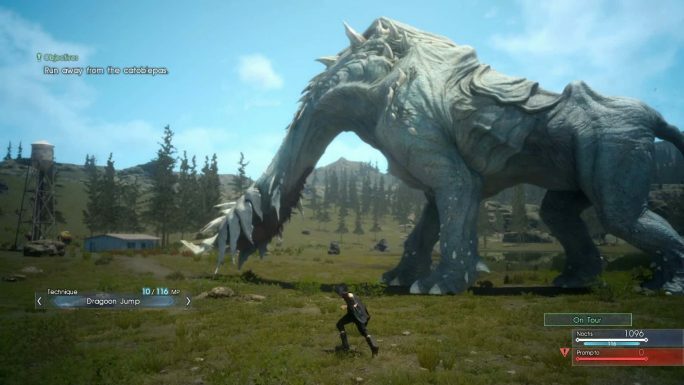 This is the mammoth task that falls on Square Enix’s shoulders with the arrival at long last of Final Fantasy XV, the first major, numbered solo entry in the series in seven years. With 2016 being a year for some major hype controversy (and I mean major), we finally get to see if the wait has been worth it. 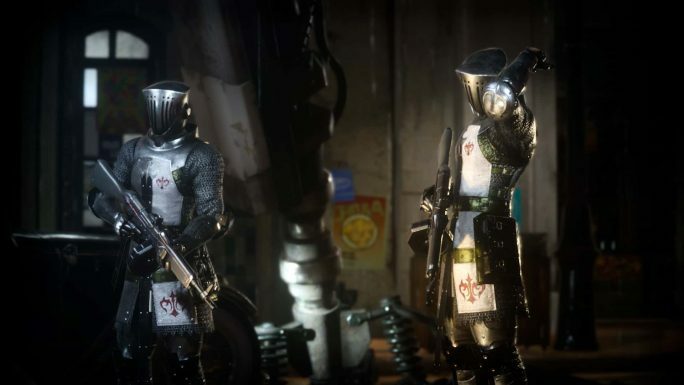 As with most Final Fantasy games not related to X or XIII, Final Fantasy XV is an all-new story set in a new world with the usual reoccurring character names and aspects we’ve come to expect. This time the world du jour is Eos, and we begin our journey with new protagonist, Noctis, the Prince of Lucis, setting out on a journey to marry the princess of the opposing nation, Niflheim. This arranged marriage will bring peace to the two nations, or will it? Safe to say, Final Fantasy XV has a long and winding story that I’m not going to spoil, as this is the backbone of all Final Fantasy games, so I’ll leave this for you to uncover, only to say that as you may expect, things don’t go according to plan, and the world becomes a very complex and dangerous place for Noctis and his friends/bodyguards, Ignis, Prompto, and Gladiolus. 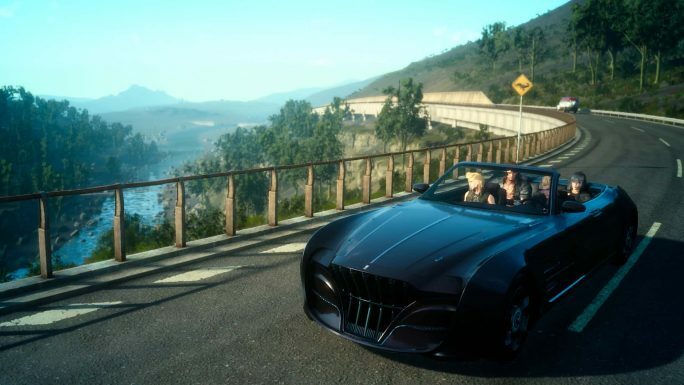 The four close friends set out on a road trip in the stylish Regalia, a flamboyant and downright cool car, and right from the get go you’re lead into an open world adventure that, I’m happy to say, brings the series back to its roots, and makes it great again. I’m certain I’m not alone in my disliking of the Final Fantasy series of late. For me, the series has been on a decline since the superb Final Fantasy VIII (I never played IX, don’t hurt me!). X was good, XII was a strange mixture of solo and MMO play, and XIII with all of its related releases, well, let’s just say I was far from impressed. I’ve grown pretty weary of the series, with nothing to raise my interest at all in the traditional single player releases. That is, until I first saw FFXV’s initial reveals. 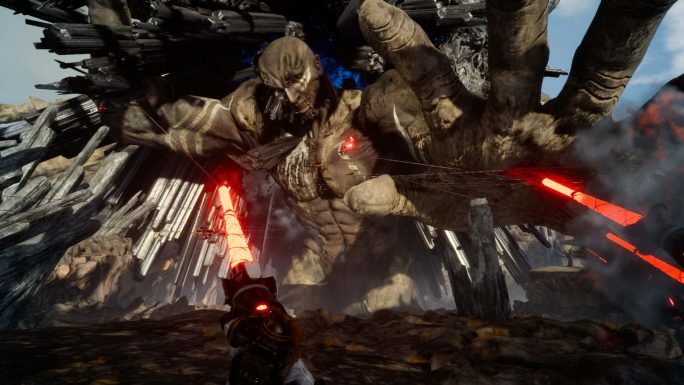 This looked like a Final Fantasy I could get behind, and over the years, it’s become more and more interesting, and looked like a Final Fantasy that finally looked to embrace new gaming mechanics, whilst retaining the spark that once made the series great. I’m very happy to report that this has been accomplished, and FFXV is, at last, a great Final Fantasy game. That said, it’s no doubt also going to be very divisive too. Some will love it and applaud the brave design choices, and others will no doubt find it strays too far from the FF formula. Don’t panic though, the stupid haircuts are still there. You see, the game doesn’t play around with the changes. There’s no pandering to old school turn-based fans here, and the combat, which you’ll be spending a lot of your time engaging in, is fully real-time and skill-based. It’s almost like a mixture of Kingdom Hearts and Dark Souls. You control Noctis in real time, as you would in, say, Devil May Cry, although simply holding down a button makes him unleash various moves. However, Noctis can also defend, roll, and ‘phase’ out of trouble. This involves timing, and with practise you can unleash counters to do major damage. All attacks have wind ups, as do enemy attacks so, like Dark Souls, you need to learn enemy attacks, master your own, and wrangle your skills to adapt to new foes and mixtures of enemies. This is all whilst blending in the usual FF fare, such as magic, potions, status effects, revives, and so on. Noctis has the ability to use all sorts of weapons, and up to four can be equipped at once and switched between any time with the D-pad. This means you can change up your tactics to suit, or mix weapons together to create custom combos and attack strategies. At first, the combat system is pretty tricky, as it’s all very quick and hard to follow, but you will soon master the basics and combat becomes very enjoyable. Sadly, the combat camera is not so good. In fact, I’d have to say it’s one of the worst cameras I’ve seen in a game for quite some time. It’s constantly getting stuck behind walls and other obstacles, and in hectic fights, it just can’t cope with the action. You learn to adjust, but it really needs some major work, and it should be much easier to manage. Managing weird rhinos is hard enough. That aside, combat is some of the best I’ve seen in FF for a long time. It doesn’t hold your hand and take the effort away like XIII, and isn’t as rigid and MMO-like as XII. It’s a good evolution, and a system that I really do like. It brings true skill into FF combat, something that’s been missing for some time. True, it’s not as tactical as older, turn-based outings, but let’s face it, it’s 2016, the series had to evolve. I love turn-based as much as the next guy, but it’s had its day. If there’s one point I’d say could be improved, it’s magic. Magic is very basic this time, and Noctis is the only one able to create flasks for the others to use. He does this by drawing out elemental essence from power stones found throughout the world. These are then turned into throwable flasks that Noctis, and his friends can use. There’s no real complex magic system, something FF has usually featured, and some may find it a little too simple. And the Catoblepas, run away from those. Other elements also come into play, and these are activities and features you may initially disregard as fluff, but will quickly realise make a big difference. Each member of your party has a specific skill. Noctis can fish, Ignis cooks, Gladiolus can scavenge, and Prompto takes photos. Each of these has various benefits, from simple XP gains, to adding important daily buffs or finding special items. 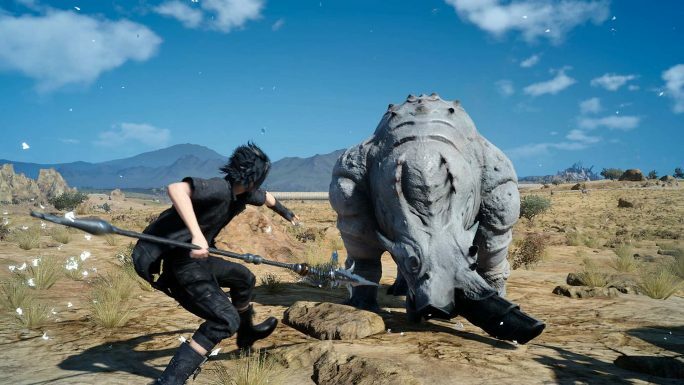 Gladiolus can, for example, learn to find random healing and resurrection items during battle, and cooking meals when you camp can bestow some excellent buffs that make encounters easier. The higher your character’s level in their skill, the better the rewards, so it pays to spend time focusing on this. Speaking of camping, unlike previous games, you don’t level up until you rest for the night at a camp or hotel. Here your experience is tallied up, and you gain levels and AP. AP is used to learn new skills and abilities via the various levelling trees, and you can also go through Prompto’s various pictures and choose which ones to save. These are clearly a heavy nod to social media sharing, but it’s also a very neat feature, and one that helps to bond you to your characters and the journey. You’ll need to keep this in mind as the day/night cycle is also important. Some missions can only be completed at night (such as monster hunts for nocturnal creatures), and at night the usually safe roads become far less so. Getting to a town is often a very good idea. The game focuses heavily on the four friends and their close relationships. 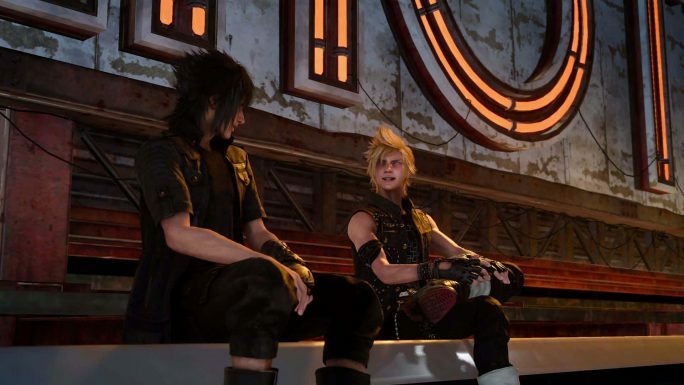 Although at first you may dislike some personality traits, such as Prompto’s jester-like frantic babbling, or Ignis’ all too serious nature, eventually you really do begin to like and care for these guys, and the road trip story really shines. It’s more than just a battle against evil, it’s a real journey with friends, and people you can relate to in some way. By the end of the game, you’ll really be invested in the characters and care what happens. When it comes to presentation, FFXV is excellent. Visually it’s a feast for the eyes with some of the most realistic and gorgeous locations and effects I’ve seen all year. The attention to detail is impressive, and the world and locations you explore all exude that Final Fantasy feel, albeit in a more restrained way than the increasingly ornate and over the top designs the series has embraced. This is much more along the lines of older series entries like VII and VIII, with a mixture of magic and technology, and a sprinkle of more realistic aesthetics, especially a new frontier vibe, and it works. The presentation of this via a car trip is genius, as you feel like it’s a genuine journey of discovery and awe, and share this with the protagonists as they learn about the world and its wonders. When Prompto wants to take a picture of a location, you probably will too. They come out in day time as well. You know what, just be careful all the time. 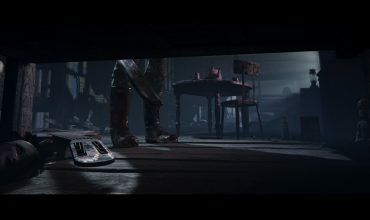 The game displays the text “A Final Fantasy for Fans and First-Timers” upon loading, and although this may strike fear into the hearts of long-time players, there’s no need to worry. As claimed, this is a great Final Fantasy for anyone. Newcomers can take their first steps into the series with a very accessible game that successfully bridges the old and new, and veteran fans will love the fan service crammed into the world, such as the option of buying music CDs for the Regalia that contain the music from older games in the series, to the inclusion of aforementioned series staples like Chocobos, familiar summons, historical place names, and characters like Cid, who has been in every game in some shape or form. The game mechanics may have changed a lot, but this really does play and feel like a true FF release, and it’s great. 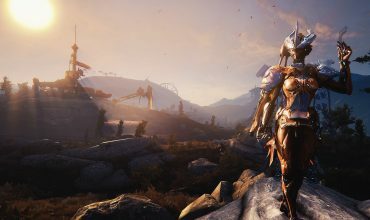 The return of a proper open world approach is one of the most welcome changes, and this alone makes it feel much more like the classics, although the game does get more linear at points, but the story and stunning world in which it takes place keeps you gripped from start to finish. In my opinion, Final Fantasy XV has managed to bring the series well and truly back to form in regard to its more traditional solo outings, and this is a superb action RPG that managed to rekindle my love for the franchise, and I have no doubt it'll also do that for other fans who have skipped the last few entries.